• Baumgartner JM, Ngondi CE, Bovet J, Chiou AG: Filtering surgery in glaucoma: comparative study of three surgical approaches. J Fr Ophtalmol 2012 Nov;35(9):705-15. • Dhaliwal JS, Kaufman SC, Chiou AG, Current applications of clinical confocal microscopy. Curr Opin Ophthalmol 2007 18:300-7. • Chiou AG, Kaufman SC, Kaufman HE, Beuerman RW: Clinical corneal confocal microscopy. Surv Ophthalmol 2006 Sep-Oct;51(5):482-500. • Chiou AGY, de Courten C, Bovet J. Pseudophakic ametropia managed with a phakic posterior chamber intraocular lens. J Cataract Refract Surg 2001;27:1516-8. • Chiou AGY, Beuerman RW, Kaufman SC, Kaufman HE. Characterization of epithelial downgrowth by confocal microscopy. J Cataract Refract Surg 1999;25:1172-4. • Mermoud A, Schnyder CC, Sickenberg M, Chiou AGY, Hediguer SE, Faggioni R Comparison of deep sclerectomy with collagen implant and trabeculectomy in open-angle glaucoma. J Cataract Refract Surg 1999;25(3):323-31. • Chiou AGY, Kaufman SC, Beuerman RW, Toshihiko O, Volkan Y, Kaufman HE Confocal Microscopy in the Iridocorneal Endothelial Syndrome. Br J Ophthalmol 1999;83(6):697-702. • Chiou AGY, Kaufman SC, Beuerman RW, Ohta T, Kaufman HE. Advancing Wave-like Epitheliopathy: Case Report and Confocal Microscopic Study. Arch Ophthalmol 1999;117(1):126-7. • Chiou AGY, Kaufman SC, Beuerman RW, Toshihiko O, Soliman H, Kaufman HE. Confocal Microscopy in Cornea Guttata and Fuchs’ endothelial dystrophy. Br J Ophthalmol 1999;83(2):185-9. • Chiou AGY, Chang C, Kaufman SC, Ohta T, Maitchouk D, Beuerman RW, Kaufman HE. Characterization of Fibrous Retrocorneal Membrane by Confocal Microscopy. Cornea 1998;17(6):669-71. • Chiou AGY, Kaufman SC, Beuerman RW, Maitchouk D, Kaufman HE. Confocal microscopy in posterior polymorphous dystrophy. Ophthalmologica 1999;213(4):211-3. • Chiou AGY, Kaufman SC, Beuerman RW, Ohta T, Kaufman HE. Differential diagnosis of linear corneal images on confocal microscopy. Cornea 1999;18(1):63-6. • Chiou AGY, Beuerman RW, Kaufman SC, Kaufman HE. Confocal microscopy in lattice corneal dystrophy. Graefe Arch Exp Ophthalmol 1999;237(8):697-701. • Kaufman SC, Maitchouk D, Chiou AGY, Beuerman RW. Interface inflammation after laser in situ keratomileusis. Sand of the Sahara syndrome. J Cat Ref Surg 1998;24:1589-1593. • Chiou AGY, Florakis GJ, Kazim M. Management of severe conjunctival cicatrization and ocular surface disease. Surv Ophthalmol 1998;43:19-46. • Chiou AGY, George JF, Copeland, RL, McCormick SA, R Chiesa. Recurrent Meesmann’s Corneal Epithelial Dystrophy Following Penetrating Keratoplasty. Cornea 1998;17:566-570. • Chiou AGY, Mermoud A, Underdahl JP, Schnyder CC: An ultrasound biomicroscopic study of eyes undergoing deep sclerectomy with collagen implant. Ophthalmology 1998;105:746-750. • Underdahl JP, Chiou AGY: Orbital cellulitis as a presenting sign of cocaine abuse. Am J Ophthalmol 1998;125:266-268. • Chiou AGY, Mermoud A, Jewelewicz DA. Comparison of post-operative inflammation following deep sclerectomy with collagen implant versus standard trabeculectomy. Graefe Arch Exp Ophthalmol 1998;236:593-596. 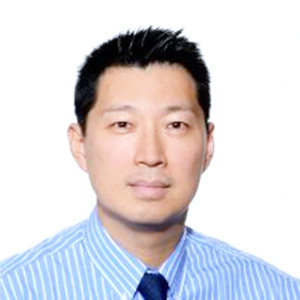 • Chiou AGY, Florakis GJ, Herbort CP: Correlation between anterior chamber Ig G / albumin concentrations and laser flare photometry in eyes with endogenous uveitis. Ophthalmologica 1998;212:275-277. • Korvatska E, Munier FL, Djemai A, Wang MX, Früh B, Chiou AGY, Hiroz A, Uffer S, Balestrazzi E, Braunstein RE, Forster RK, Culbertson WW, Boman H, Zografos L, Pescia G, Schorderet DF: Mutation hot-spots in 5Q31-linked corneal dystrophies. Am J Hum Genet 1998;62:320-324. • Chiou AGY, Cadez R, Böhnke M. Diagnosis of Dieffenbachia induced corneal injury by confocal microscopy. Br J Ophthalmol 1997;81:168-169. • Sanchez E, Schnyder CC, Sickenberg M, Chiou AGY, Hédiguer SEA, Mermoud A. Deep sclerectomy: Results with and without collagen implant. Int Ophthalmol 1997;20:157-162. • Chiou AGY, Mermoud A, Hédiguer SEA, Schnyder C, Faggioni R. Ultrasound biomicroscopy of eyes undergoing deep sclerectomy with collagen implant. Br J Ophthalmol 1996;80:541-544. • Chiou AGY, Mermoud A, Hédiguer SEA. Glaucome malin par blocage ciliaire après sclérectomie profonde – Imagerie par biomicroscope à ultrasons. Klin Monatsbl Augenheilkd 1996;208:279-281. • Roussat B, Chiou AGY, Quesnot S, Hamard H, Goddé-Jolly D. Surgical treatment of ectopia lentis in Marfan’s disease in children and young adults. J Fr Ophtalmol 1995;18:170-177. • Chiou AG: Essorage cornéen après DALK, une mauvaise bonne idée. Clinique de l’Oeil, Séminaire, Décembre 2012. • Sickenberg M, Mermoud A, Chiou AGY. Sclérectomie profonde: Une opératrion filtrante non perforante: Avantage, technique chirurgicale, complication et résultats. Video. • Florakis GJ, Chiou AGY, Copeland RL, McCormick SA, Chiesa R. Recurrent Meesmann’s epithelial dystrophy following lamellar and penetrating keratoplasties. • Abdel-Aziz T, Beuerman RW, Chiou AGY: Epidermal growth factors. Alexandria.